For the first leg of todays double header i guided Phillip Anderson and his two daughters Taylor and Catherine. We started the morning off just before daylight and crossed the bay with the GoPro capturing the sunrise. Once arriving at the secret spot next to the stump i covered all the details of the artificial baits we were using and we got the party started. I can’t say we crushed the fish but i can say some strange things happened. 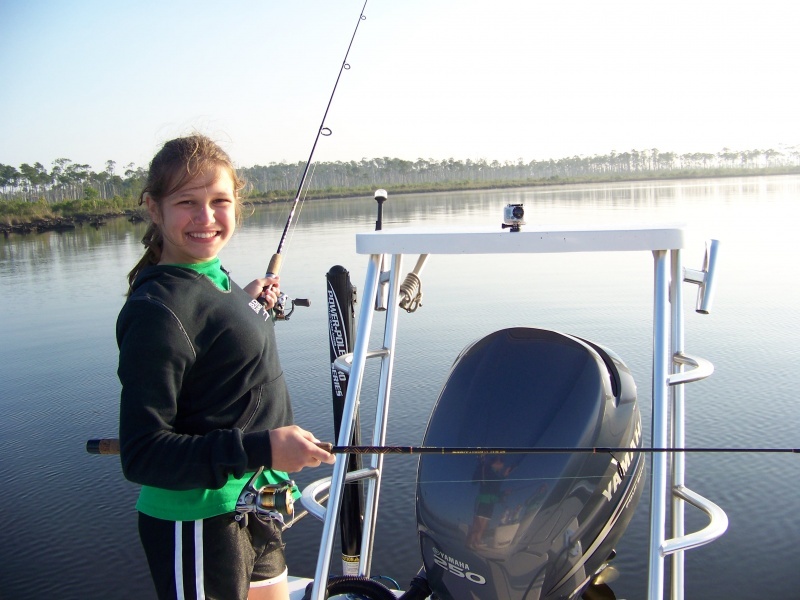 Strange thing #1- I was splicing two line together on one of the girls rods when i felt a tug on the lure hanging in the water. 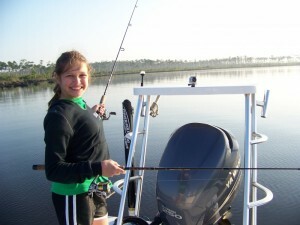 before i could get the line tied together i set the hook with my hand and before long a Flounder was flopping around in the bottom of the boat. Srange thing #2- Phillip had really nice Flounder on his line next to the boat and looked to have completely swallowed the hook. With no fear that he was bearely hooked Phillip was fixing to lift him over the side when Mr. 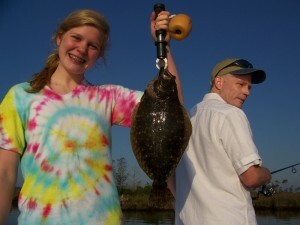 Flounder decided to regurgitate the bait and the hook!!! Strange thing #3- A trolling motor prop full of Spiderwire!!! All in all the fishing was a little slow but we managed to land some fish, see a nice Sea Turtle and enjoy a beautiful day on the water.